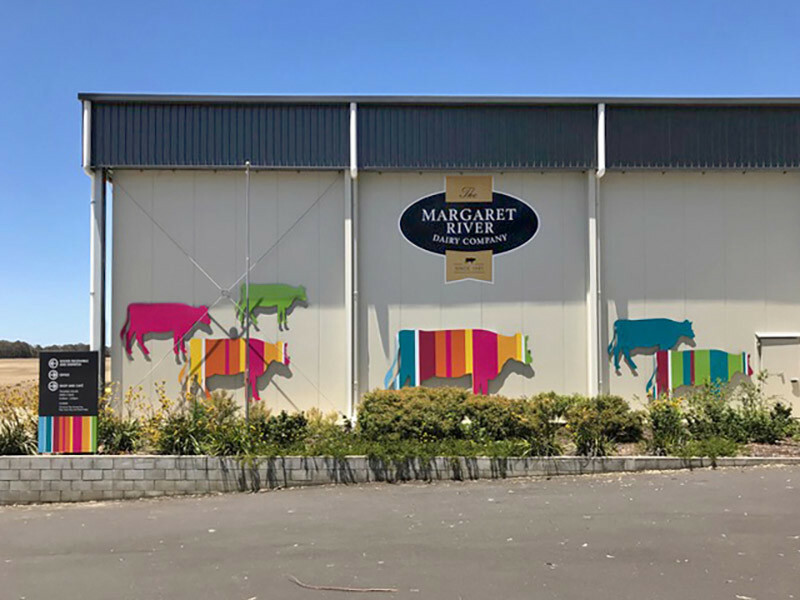 When Margaret River Dairy Company undertook a re-brand of their corporate ID, we worked with the team at adzoo to deliver a new suite of external and internal signage at their Metricup factory and store. Our brief was to remove existing building signage, and replace with long-term signage solutions built to withhold the elements. 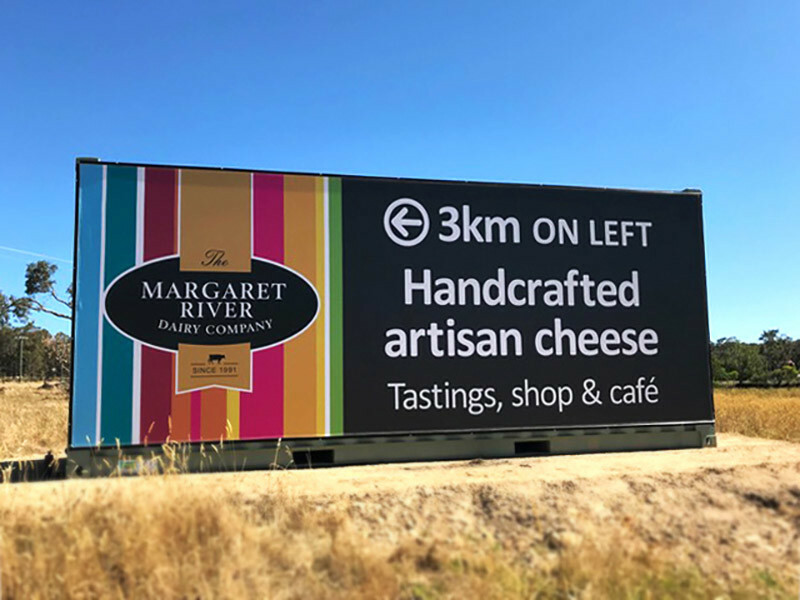 We were required to deliver this within a tight time-frame so that the vibrant new signage was installed in time for the summer tourist season. We recommended a range of signage products and applications to complement the new branding. We printed the graphics to a quality 5-year adhesive vinyl then applied to aluminium composite panel and cut to shape. A gloss laminate finish complemented the vibrancy and colour of the new branding. Using different applications we added depth to the signage, creating a three dimensional effect to key signage areas. Our sign services team travelled to the factory with all equipment required, completing the install within 4 days. 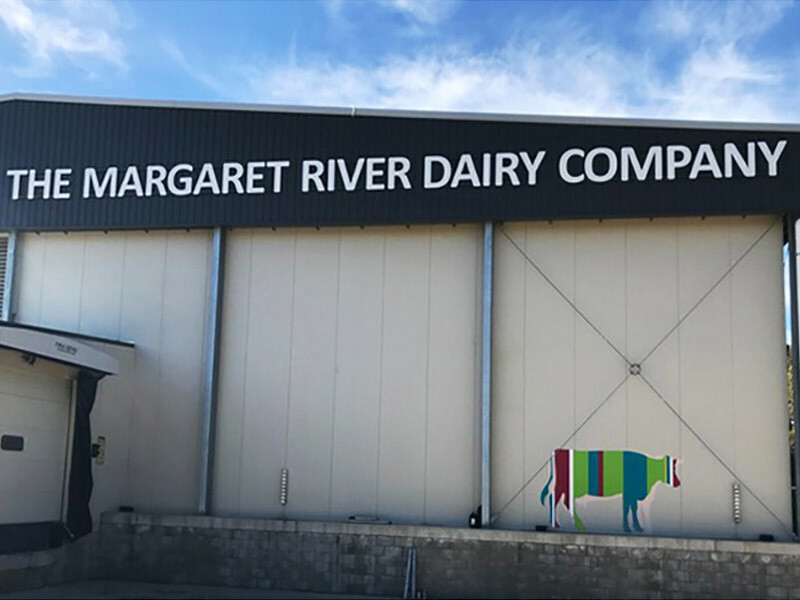 The Margaret River Dairy Company factory and store has been completely rejuvenated with new vibrant signage for a better customer experience. Our team delivered signage that reflects the quality of the brand and its products – all in time for the important summer tourist season.